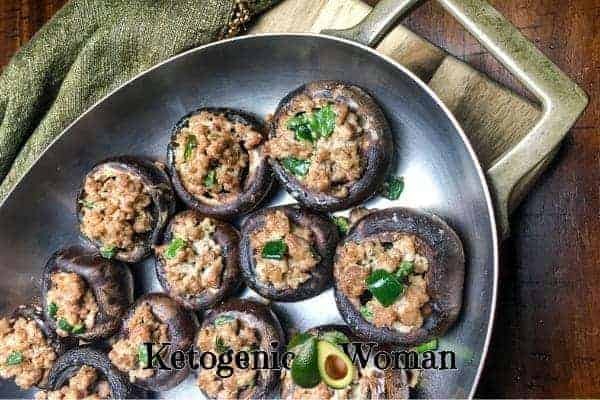 I love this low carb recipe for turkey sausage stuffed portabello mushrooms! It is an extremely versatile recipe. You can make it spicy or not. You can use turkey sausage or chicken sausage. 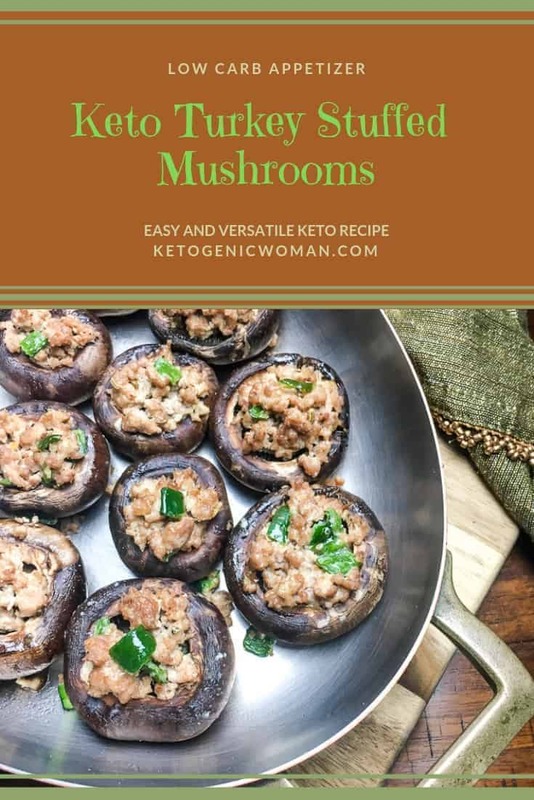 You can use large portabello mushrooms and make 4 dinner portions or you can use the baby bellas (basically a small portabello mushroom) and make these a fantastic low carb appetizer. 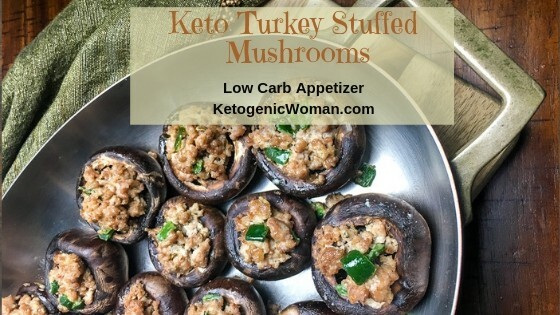 You could even make a skinny version of these Keto turkey stuffed mushrooms by using the 98% fat free ground turkey breast. If you are using ground turkey instead of sausage, then you will need seasonings. I would go with 1/2 teaspoon each of salt, pepper, rosemary, sage and garlic. Heat remaining olive oil in a large skillet over medium heat. Tagged chicken, Keto Appetizers. Bookmark the permalink.